At the centre of the east coast, the Gulf of Orosei is one of the most beautiful and enchanting shorelines in Sardinia. The crystal-clear sea, soaring limestone cliffs, and impressive caves and creeks take their place alongside famous beaches and coves. Excursion with driver for groups up to 12 people. Optional visit to the Bue Marino cave (ticket paid at cave entrance). If you can drive a small boat, rental may be the best option for you. Every day at the port of Cala Gonone you can hire a rubber dinghy powered by a 40hp. engine and carrying a maximum of eight passengers, and you do not need a marine licence. 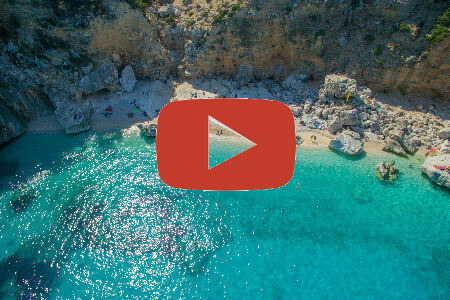 At your leisure you can discover the secrets of the coast around Cala Gonone and visit the most beautiful beaches in the area.